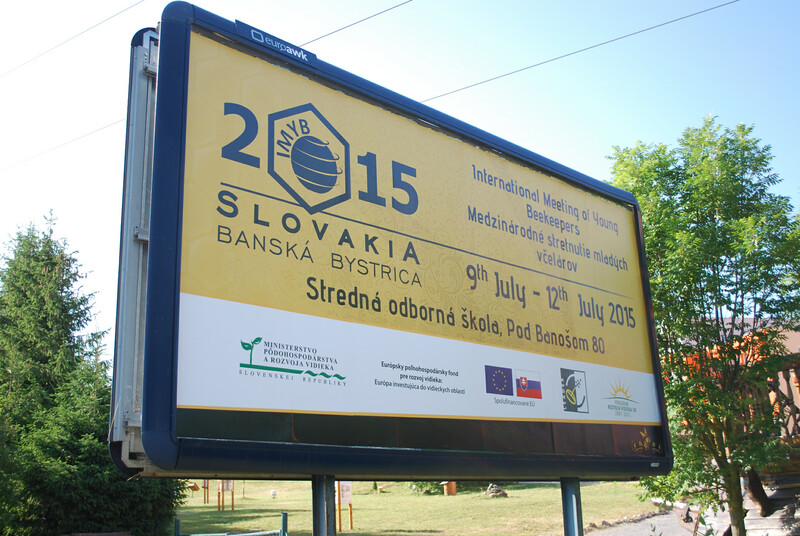 The 6th International Meeting of Young Beekeepers took place in Banská Bystrica, Slovakia from 8th to 12th July 2015. In terms of the number of competitors and participants this year has been the biggest so far. The event was organized by Secondary Vocational School Pod Bánošom in Banská Bystrica, which belongs to the most active schools in the country. The school is committed to education of future specialists in rural development and food production. This is the list of 20 countries which took part in the beekeepers competition: Albania, Austria, Belarus, Czech Republic, Denmark, England, Germany, Netherlands, Ireland, Israel, Kazakhstan, Lebanon, Lichtenstein, Lithuania, Moldova, Poland, Romania, Slovakia, Slovenia and Ukraine. The event was supported by many state representatives as well as leading Slovak beekeepers. During the opening ceremony, the participants labelled with yellow T-shirts and IMYB 2015 logo, could hear the speech of Ing. Ľudovít Gál – the chairman of Slovak Beekeeping Association. Minister of agriculture Ľubomír Jahnátek also welcomed all the guests and spoke about the improving situation in the field of beekeeping in Slovakia. Also the chairman of Regional Municipality of Banská Bystrica Mr. Marián Kotleba came to support this event and wished everyone a pleasant stay in Banská Bystrica. The president of Apislavia Mr. Tadeuz Sabat highly appreciated the increasing popularity of the event. There was also a short cultural programme after which the school director Ing. Pavel Fiľo and Mr Jiří Piza, IMYB coordinator officially opened IMYB 2015. Each out of twenty national teams consisted of three members in the age from 12 to 16 years old. They were separated into twelve international groups where they could meet fellow young beekeepers from the other countries. Within these international groups everyone competed individually and the final team ranking was set by total points of individuals from every country. The competitors went through theoretical test, micro scoping and practical part which comprised for example: frame assembling, sorting out the tools, grafting, honey extracting, uncapping, etc. The overall winner in the individual category became Matej Brzica from Czech Republic, the second place took Ion Rusu from Moldova and the third place belongs to Jana Kienzle from Germany. 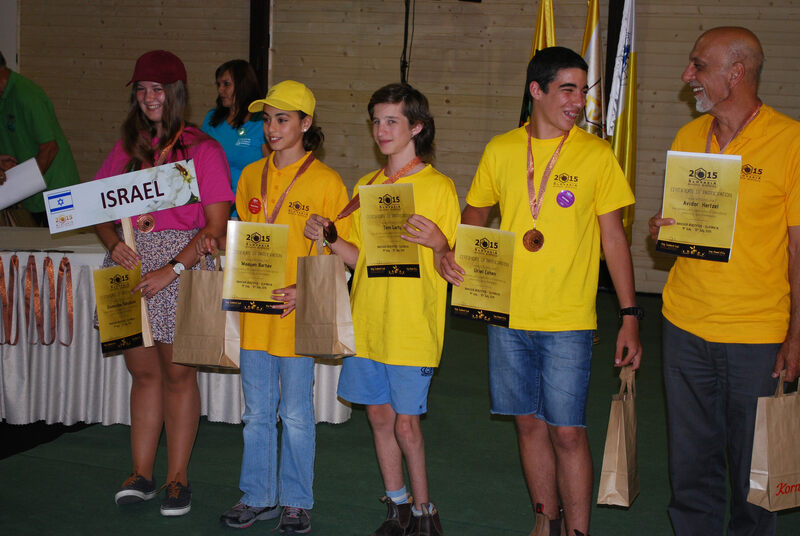 The team trophy, a crystal bee on a granite base, travelled to Czech Republic, young Slovakians took the second place and the third place belongs to young beekeepers from Austria. The whole event lasted from Thursdays´ evening until Sundays´ morning while the competition itself happened just on Friday and Saturday. The rest of the time was fulfilled by various sport- socio and cultural activities during which the participants could experience a bit of the taste of Banská Bystrica region. From the atmosphere of this meeting we could feel that a bee is a powerful bond which connects people from all over the world. We can still smell a wonderful honey odor which remained in our school as a vibrant reminiscence about this amazing event. It´s been a great pleasure for us to take part in organizing of this meaningful project and we would like to thank to all participants and young competitors who made this competition so special. We are looking forward to the next year of IMYB.